When I was still working in one of the biggest electronics store here in the US, customers will asked about tablets and other eReader. 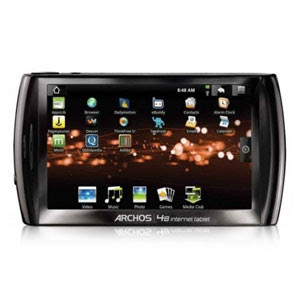 I only knew then of the popular ones and then one customer asked my co-associate about archos tablet. I was wondering if there is such a thing. True enough there is. I was told that it is actually a nice tablet too. If I did not work there for Christmas help then I wouldn't know about the different tablets available in the market. I only have knowledge to those that I always here and see on commercial as well as those with hyped marketing. I read reviews about this tablet and many said it is comparable to the popular ones. It also has a lot of applications and with huge memory too.